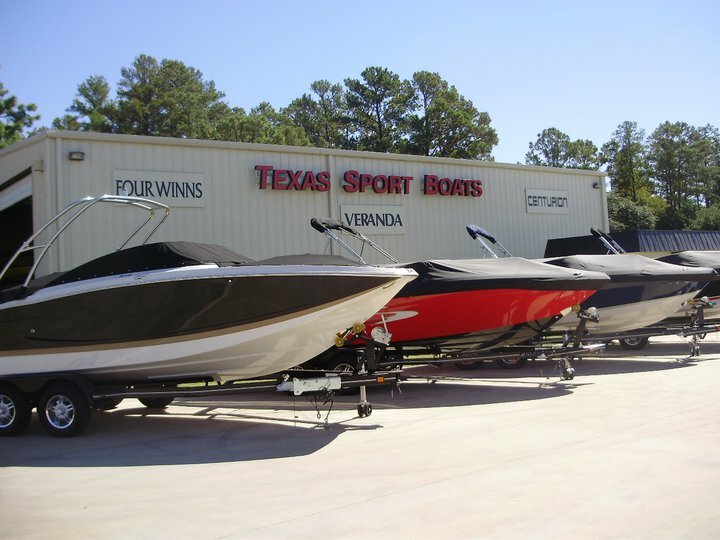 Texas Sport Boats provides boating lovers with a wide variety of quality new & used boats. We feature the Centurion World Championship Tow Boat for the serious wake-sports enthusiast, giving you the biggest wake and best ride on the lake, Four Winns Sport Boats with award winning, patented stable “V” Hull allowing the boat to plane quickly, corner flatter and remain stable while at rest and Veranda (woodfree) Pontoon Boats with patented, all welded aluminum construction, for years of maintenance free boating. We are also proud to offer Legend Bass Boats, famous for their custom construction, expectional handling, and unmatched smooth dry ride. Our service department can handle all of your boat maintenance needs; prop repair, warranty items, gel coat repair, preventative maintenance and winterization.